Spiderforest Comic of the Week: Spine by Cihan Sesen. 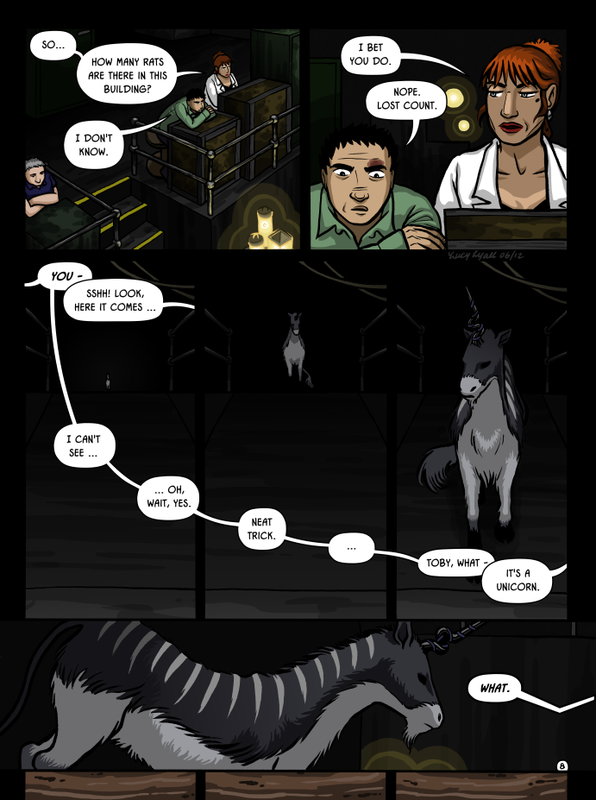 Spine is a new addition to Spiderforest - the application came in the last round of voting, and I put in a 'yes' pretty much straight away after chomping through the archive. Set in a post-apocalyptic, dystopian future, the story follows Spine - a spy and assassin with a disturbing history - as she tries to get hold of a new energy source called the SUNDRIVE. I'm not always a fan of dystopias, but there were a lot of things I liked about this comic. Cihan gives the impression that there's a lot going on in the world that we don't know about yet - personally, I want to know more about the Bakers ... Also, there's a Turkish spin on the story, rather than the standard American / British viewpoint I'm used to seeing. And then, of course, there's the art - which is brilliant, and really matches the tone of the story. One thing to be aware of, this comic goes to some dark places. But it's handled well, and kept me hooked - so if you like stories with a bit of bite, then take a look!